Ho ho ho! It's time for our annual Christmas episode of The AFA Podcast. To celebrate its release 25 years ago (! 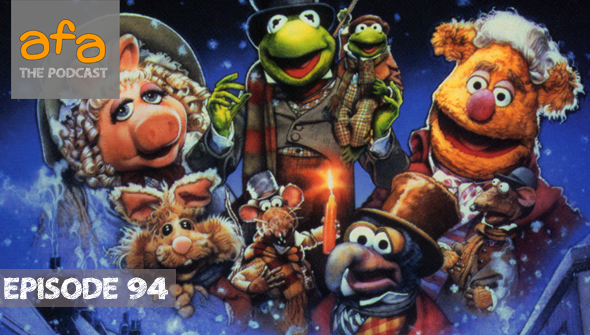 ), this time Rachael and Chris discuss the classic The Muppet Christmas Carol. First up though, it's time for the final News section of 2017!It's an awards special including the Emile Awards, The Annies and The Golden Globes. Then it's time for our main topic discussion (0:40)! (There's sort of spoilers I guess? But you really should have seen this by now). Want to help us make more episodes? Please consider supporting us on Patreon and get episodes before anyone else, plus bonus episodes and more! Or make a donation via Ko-Fi or Paypal.